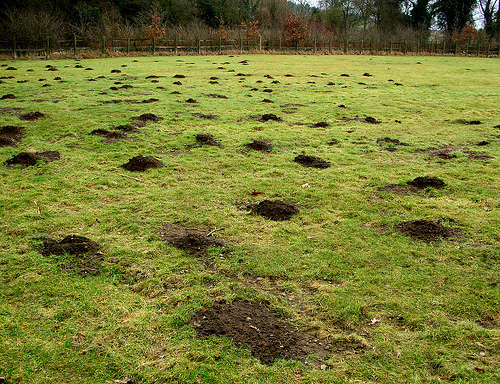 Learn how to safely get rid of moles and other rodents with MOLECAT. 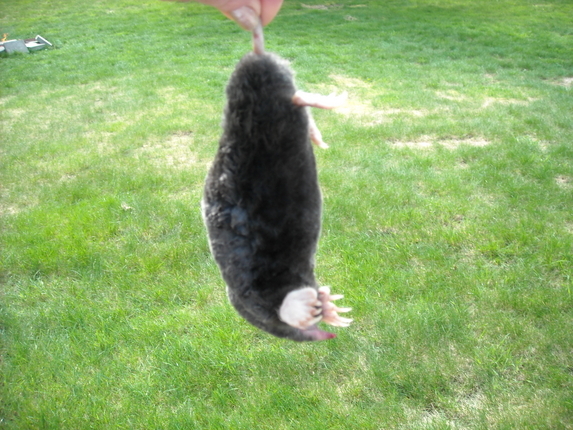 Follow the instructions for using MOLECAT and kill moles, kill gophers, kill rats and more! Hot Plasma discharges from the .27 Cartridge and Firing Barrel at high velocity and can cause serious burns/injury/death to user and bystanders. 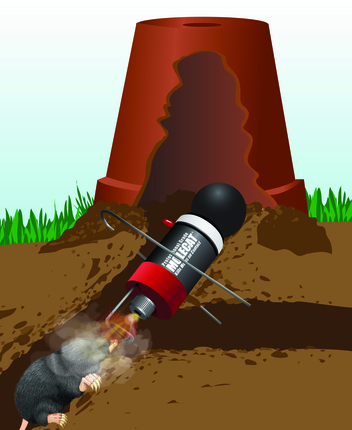 “Clockwise” and “Counter Clockwise” are terms used to describe the use of the Hammer Knob on the nondischarging end of MOLECAT® and it is the Knob device by which MOLECAT® is set to discharge. Always wear Eye/Hearing safety gear when handling MOLECAT® . DO NOT place anything into Firing Barrel other than a Extermination Cartridge. 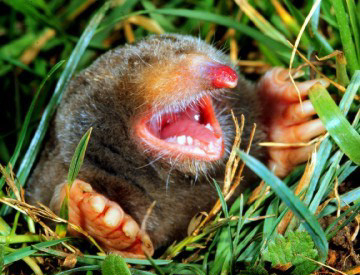 DO NOT operate MOLECAT® in an enclosed area. 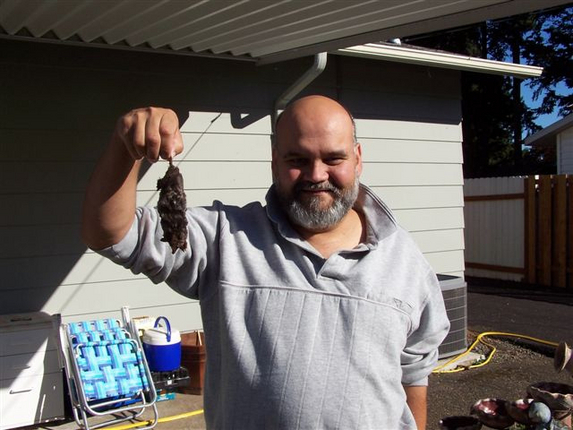 Keep MOLECAT® and Extermination Cartridges safely away from Children, Minors and Pets. DO NOT point “Armed” unit at any living thing other than the intended pest. Keep Fingers clear of Safety Gauge and Hammer Knob when testing – pinching can result. DO NOT hold MOLECAT® by “Trigger Wire” or “Triangle”. Hold by Hammer Knob and Sleeve only. Never exercise horseplay, tricks or foolishness with this tool. This is serious and could kill. Use good judgment in relation to your specific area, being thoughtful not to disturb neighbors. Use MOLECAT® unit in good operating condition. Follow “CARE of UNIT” on page 4. Always cover set MOLECAT® with a bucket or heavier cover such as a wheelbarrow as appropriate for the safety of children and pets. Do not set unit near seeping gases occurring naturally from the earth or near man made gas lines. Fire could result. Keep area clear of flammables. When triggered, MOLECAT® emits a blast of extreme hot plasmic fire and will ignite flammable materials.